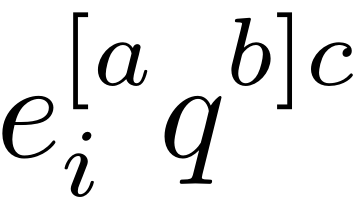 How to define a unique height of subscript and superscript indices? Is there any package that fixes the height of tensor indices? Is there any universal method not forcing me to use \phantom in each expression, like here? Bilbo is a new contributor to this site. Take care in asking for clarification, commenting, and answering. Check out our Code of Conduct. 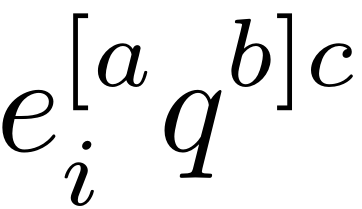 Here's an implementation similar to what the tensor package does, but ensuring empty superscript or subscript is added at each stage. Bilbo is a new contributor. Be nice, and check out our Code of Conduct. Not the answer you're looking for? Browse other questions tagged positioning indexing tensor or ask your own question. How to create multiple indices with imakeidx? How to define a macro that calls \index? How create multiple indices with imakeidx? How to use different formatting for multiple indices with imakeidx and .ist files? How to construct chapter-wise indices and merge them in a global index.